“ Aaha, aaha, kunu bhoi nai! ”(Come, come! No need to fear!). 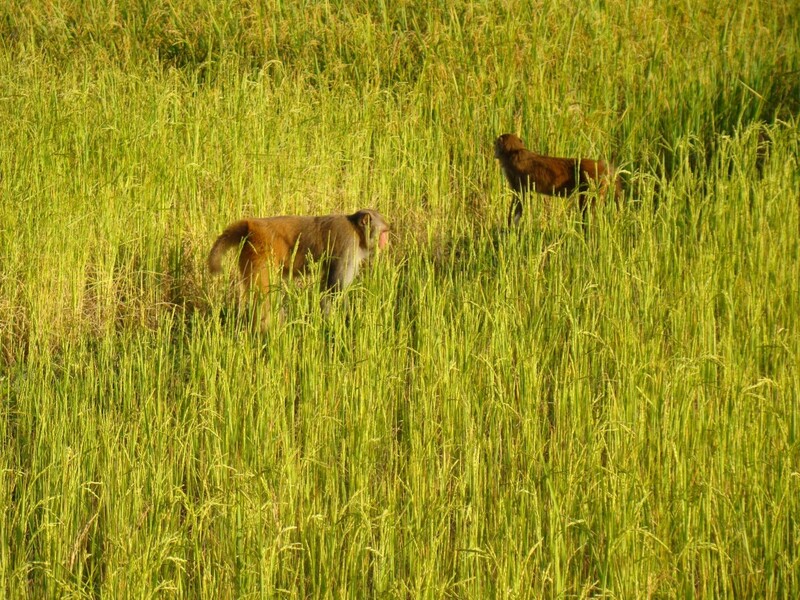 Naathu Bora invited a troop of rhesus macaques that was approaching his paddy field located next to the Hollongapar forest in Upper Assam. I was studying this group of monkeys to understand their survival strategies and interactions with other monkey troops that lived nearby. It was an early, misty morning in November. The troop had left the bamboo grove, their usual sleeping site, and had crossed across a tea garden to reach the paddy field. The paddy was almost ready to harvest; therefore, I found Naathu Bora’s invitation most unusual. Curious, I asked, “Why do you want them to come and destroy your crop?” He replied, “There are no fruits in the forest in this season and if they don’t eat, they will starve. Moreover, they will take only a little — the rest will be enough for us.” His voice was full of empathy for these animals. I was very surprised as farmers and cattle-herders often bear huge losses because of wild animals and, in retaliation, kill them. The troop spent nearly an hour on Naathu’s land and left it once their cheek pouches were bulging with paddy grains. When they had eaten what was stuffed into their cheek pouches, they moved to another field nearby and started raiding it. At such times, I was always in a dilemma about whether to drive them off or inform the farmer. If I chased them away, my hard-earned efforts to habituate (getting them used to my presence) them so that I could study them at close quarters, would go in vain as it would be hard to regain their trust and confidence. 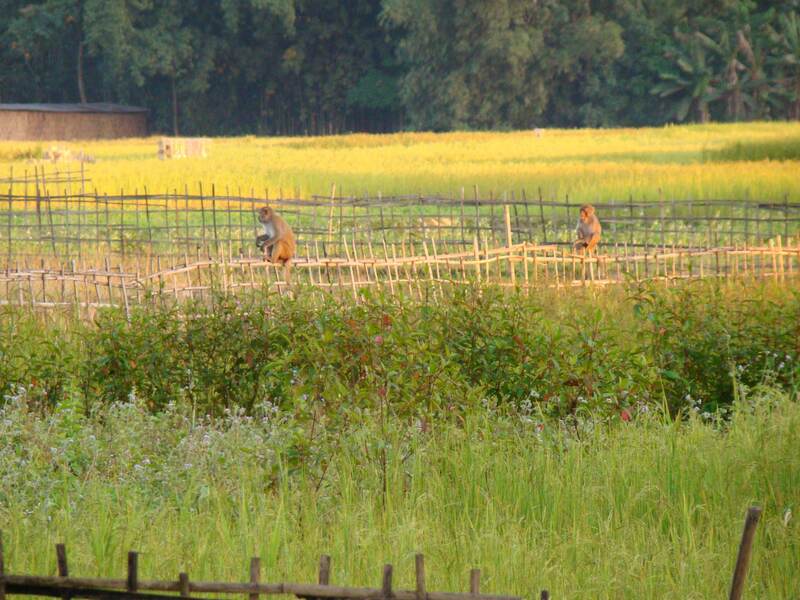 And if I informed the farmer, the monkeys would be chased away anyway and I would have to stop my work. As I was weighing these options, Khaba Ram Das, the owner of the land, came rushing and in a most polite way asked the monkeys to leave his field at once, “If you behave like this, what shall we do? How shall we survive?” His voice carried aggression, desperation as well as sympathy. He gently shooed them away. The troop was completely scattered by then and I had a tough time spotting all of them. 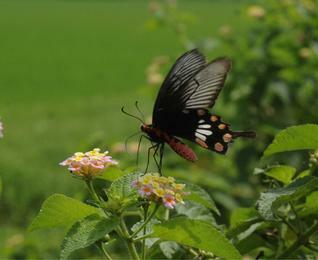 When I finally found them late in the afternoon, they were busy feeding on yet another paddy field. That was the third time I saw them raiding crops and again I felt uneasy standing there and watching them. Bipin Bora, the owner of the land, came to my rescue and chased them away with all his energy. But this time not a single word was uttered. 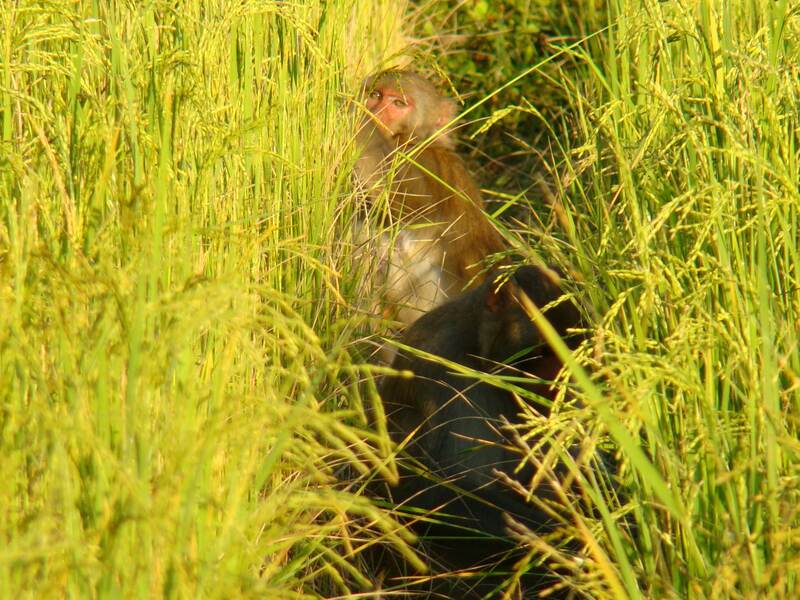 Only a stern glance thrown at the retreating monkeys and then at me — that was all! There was no voice, only aggressive action! It was now almost futile carrying on with my observations, as the troop had scattered completely. Nevertheless, I hung around and followed the monkeys I could still see until they retired for the day in another bamboo grove at the edge of a village. As I headed back to my field camp, I thought about the events of the day. All three farmers had faced the same problem, but the way they responded was different. Was Bipin’s aggression unjustified? That parcel of land was possibly his only source of livelihood. Could he afford to lose his crop? Perhaps not. What explained Khaba Ram’s controlled aggression and Naathu’s extreme tolerance towards the monkeys and his deep empathy towards them? These diverse reactions might have come from their different economic backgrounds, personalities and attitudes, making some of them more tolerant and some less so. Still, we will never be in a position to judge who was right and who was wrong. We can understand humans, animals and the conflicts between them much better if we respect the many voices that we hear, and more importantly, even those that we do not!